Okay, so most of the time, evening insomnia is caused by an over-active mind, often caused by not giving ourselves enough time to wind down after our daily activities and/or spending our evening hours in front of a computer or television screen. Before we get to the herbs, a little practical advice: herbs help support a healthy body and body rhythms, however, they cannot do all of the work. A sleeping pill will probably knock you out no matter how much exciting television or double espressos you had throughout the day, but it’s not helping your body heal. Herbs help the body heal, but you’ve got to do your part as well. So, that said, a few suggestions: have your last meal 3 hours before you go to bed (unless you experience morning insomnia—more on that later), turn off all of your screens at least an hour before bed; take some time for silence and reflection. Read a book, have a conversation, sit on your porch and sip a cup of (herbal) tea. Worries in your mind? Jot them down. Get them out of your head and onto a page—it will do wonders for your peace of mind. Valerian is really good for a racing, worried mind. Try taking four capsules about an hour or so before bed (I’d avoid the tincture on this herb…valerian is wickedly stinky and unpleasant tasting). This will last you about four hours. If you wake in the night, you can take another four capsules. Valerian is a good sedative, but you won’t have any of the groggy side effects of a regular sedative. A note on valerian: your body can get used to this herb, so after three weeks, switch to one of the other recommended herbs for a couple of weeks and go back to valerian after that. This is a great herb for insomnia due to restlessness and anxiety (and it’s safe and gentle enough for children). 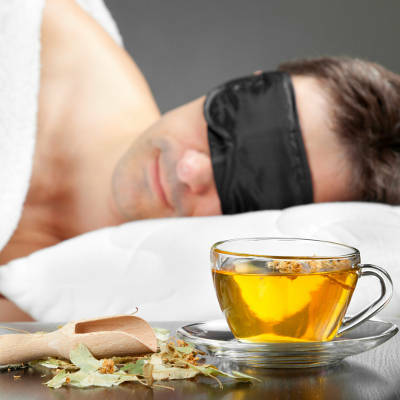 This herb not only helps you to fall asleep, it improves the quality of your sleep as well. You can couple this with valerian, if you find you need a stronger sedative. A tincture is the most powerful way to take this herb (any herb, really). Try 30-40 drops twice daily (the second dose close to bedtime). Passion flower is wonderful for those who tend to wake frequently throughout the night. This, too, is safe for children and those with compromised health. It can be taken in large doses (I usually keep taking it until I feel calm and tired) and for long periods of time. Try 30-60 drops of the tincture before bed. If you find that’s not enough, you can take that dose up to 4 times a day. Hops is a fast-acting nervine and sedative, good for anxiety, hysteria, digestion, and stress-related illness. This herb is completely safe for most of the population (although due to the natural steroids found in hops, pregnant women and children under two years of age should avoid it). Grab a tincture or tea and follow the package directions.